When it comes to antiques, there are few better places to find a vast range of pieces from all conceivable eras than London. The capital has large and small antique shops dotted about everywhere, with hidden treasures just waiting for discovery. To narrow down the focus a bit – and make it easy for you find the best antique shops in and around Paddington – we’ve put together this piece showing you where to go for the best antiquing experiences. They’re all easy to get to from The Devonshire London, and you won’t have far to go if you end up finding and buying more pieces than you intended to when you set out. Sporting a dashing red and black façade, Hirst Antiques is a wonderful place to visit if you want to nab some antique jewellery. About a 15-minute journey from The Devonshire London, Hirst Antiques has a wide range of classic jewellery pieces covering the 20th century and even further back. It’s the place to go if you’re seeking an authentic Victorian cameo or a sleek, classically designed timepiece. You’ll also find a cornucopia of vintage rings, pendants, earrings and more, so you may have to restrain yourself to avoid breaking the bank. Aside from jewellery, Hirst Antiques also stocks a range of art object, statues, sculptures and even antique, brass beds. Alfie’s Antique Market is the kind of place where you can easily spend a good few hours – or more – thanks to the sheer size of the place. Covering multiple floors and thousands of square feet of space, this really is a fully-fledged antique market. Except it’s indoors, so you don’t have to worry about the fickle London weather. Because it’s so large, there isn’t anything that you can’t find here. From vintage, silver tea sets to Middle Eastern art and antiques, Alfie’s Antique Market has it all. Be sure you make the time to fully appreciate the place, as it’s worth setting aside a morning or afternoon to make a full exploration of every nook and cranny in the place – you never know what you’ll find. After you’ve exhausted yourself looking for that special piece, you’re only a stone’s throw from the best Paddington afternoon tea. Home to multiple antique dealers, Grays Market is a treasure-trove of early and mid-20th century pieces, as well as offering antiques from the Victorian and Edwardian periods. But you’ll find pieces from many different eras here, and that’s what makes Grays Antiques worth seeking out. It’s only a short journey from The Devonshire London, and there are also vintage – and we mean vintage – clothes on offer at Grays, if you want something chic and stylish from a different age of fashion. Beautiful jewellery, statues, art deco pieces, classic Victoriana, it’s all here, and it’s the kind of place that rewards those who take the time to explore fully. 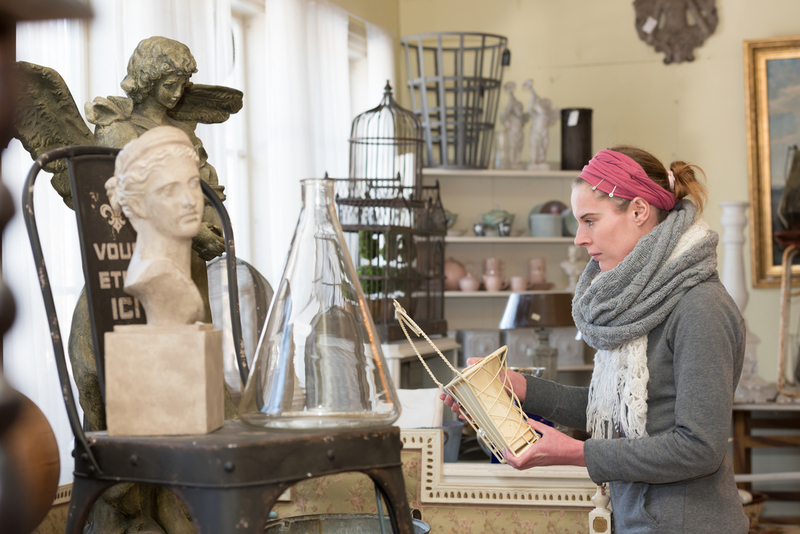 Make the journey to Grays Antiques, and it’s one excursion you definitely won’t regret.